Have we all been looking in the wrong place? (sorry about the poor resolution,” he says in parentheses, “but that’s probably due to the cylindrical 3D light-reflecting/bending geometry of linen fibres). See the link to a paper reporting from detailed microscopy – light and electron microscope- that some of the lignin of flax bast cells (as used for linen) is not only inside the fibres, but in the S1 layer that would put it just below the PCW. Have we all been looking in the wrong place? Are Di Lazzaro’s laser-generated pulses of uv radiation actually targeting that S1 lignin, not “cellulose” as claimed, generating hot spots that may then cook what’s around them? First Law of Photochemistry: light – regardless of wavelength or how generated – has first to be absorbed by one or more chromophores for there to be any chemical reaction – which would include faint yellow/brown coloration. So the first priority of photochemists (I can’t speak for laser physicists) is to identify your chromophore. Uv light is far more likely to target an aromatic compound like lignin, albeit as a minor constituent of linen, than a non-aromatic carbohydrate like cellulose. Have we all been looking in the wrong place? That’s one question. It’s a good one. Another one comes to mind. Colin didn’t ask this. I am. At what point is increased contrast more detrimental than helpful by introducing exaggeration, blocking detail and creating image artifacts? At what point does reliance on increased contrast cross the line between science and pseudoscience? 3D of the Day: Imprinted in a Contact-Only Mechanism? Suggesting that the image may be a contact image? (Techie stuff: the height setting on the z scale was kept at 0.1, i.e. its default setting, one that cannot be reduced, as my embedded B/W reference shows, given it has no 3D history ,having been constructed in MS Paint. Minimal values were used for smoothing and lighting (10.0 and 0.2 respectively). So what makes this image different from most others – like having those EYES! Look carefully and you may see the ‘trick’ that was used – which some might regard as perfectly legitimate, exploiting another fixed feature of ImageJ, albeit one that you can work around (CLUE!) and indeed was worked around. Answer – will be given in 24 hours. From out of the strong came forth the sweet? This posting rep0rts what this blogger/retired science bod considers to be significant progress in modelling the “Shroud” image, so as to reproduce more of its allegedly ‘iconic’ and/or “unique” properties (negative image, superficiality, 3D properties, fuzzy border, possibly even some of those so-called microscopic properties. Topic 3: Here’s Dr.Positive (science bod) calling a certain Dr.Persistently Negative, he who dishes out his “science” as if medicine to treat disease. This is an important posting, probably the most important from my years of “Shroud” research, and it’s dedicated to the man with the prescribing tendency. Why? Because his negative nitpicking, from countless sniping and indeed hostile comments and, especially his snipingg- from-cover pdfs, were what spurred me to switch from imprinting with flour paste/slurry to imprinting with dry flour. 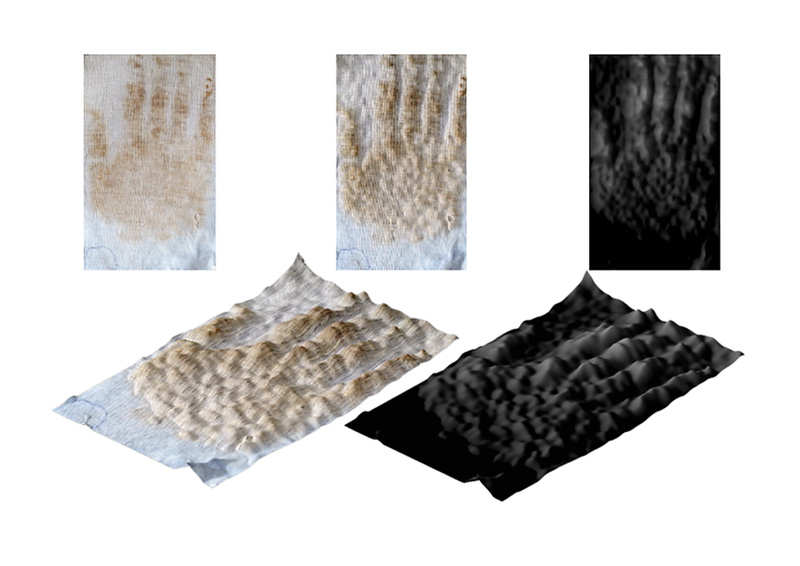 Check out these results for (a) that “Shroud” like fuzzy image by which he sets so much store (rarely if ever considering the effect of age-related degradation) and to (b) 3D properties (which he flatly claimed lacked 3D properties, unsupported by data, and which I demonstrated yesterday to be false). First, the new improved fuzzy-look image, obtained using flour dust as imprinting medium, colour development with a hot flat iron* or in a hot oven, and a new 3rd stage (image attenuation by washing with soap and water). (*Late addition: it’s probably the hot iron – its pressing action being responsible for the coloration being confined mainly to the crowns of the weave. 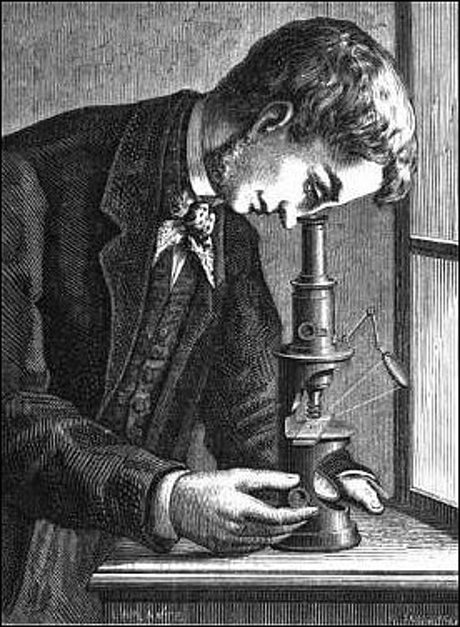 Microscopy is in progress, but needs careful evaluation). 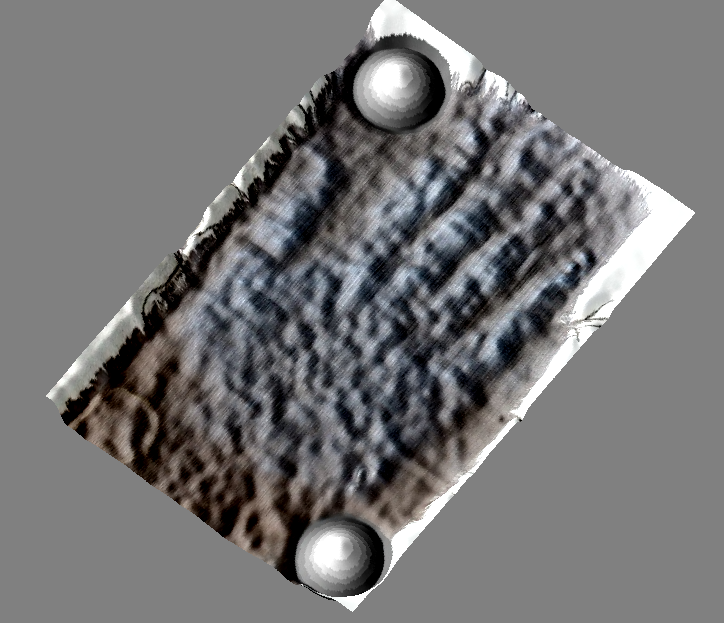 Tone -reversed negative of dry-flour imprint, 3D-rendered in ImageJ. 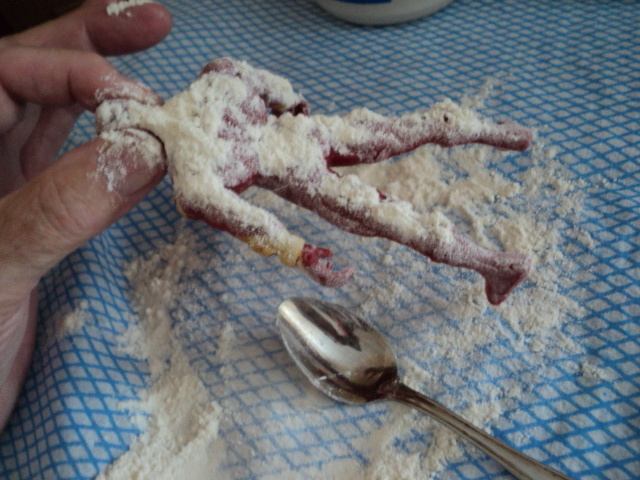 Note the relative lack of distortion, compared with the wet-flour imprint in Topic 2. Dr.Negative please note. Eh! But what say you all? In the Judges 14 we find Samson travelling to the land of the Philistines in search of a wife. During the journey he killed a lion, and on his return past the same spot he noticed that a swarm of bees had formed a comb of honey in the carcass. 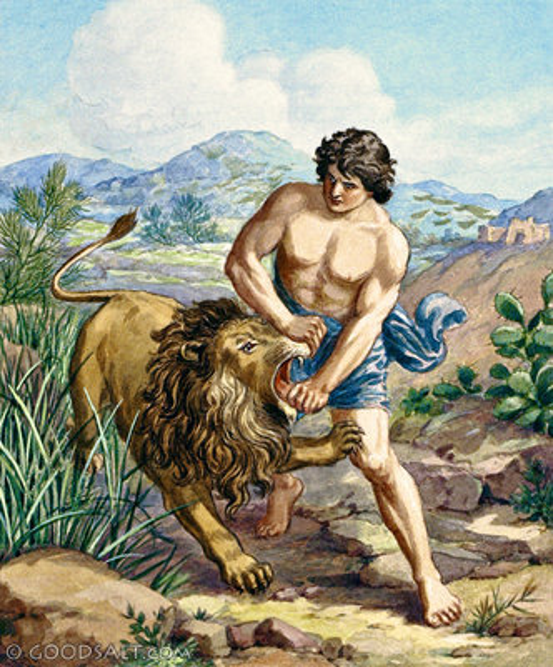 Samson later turned this into a riddle at a wedding: "Out of the eater came forth meat and out of the strong came forth sweetness". 12 Then Samson said to them, “Let me now propound a riddle to you; if you will indeed tell it to me within the seven days of the feast, and find it out, then I will give you thirty linen wraps and thirty changes of clothes. 13 “But if you are unable to tell me, then you shall give me thirty linen wraps and thirty changes of clothes.” And they said to him, “Propound your riddle, that we may hear it.” 14 So he said to them, “Out of the eater came something to eat, And out of the strong came something sweet.” But they could not tell the riddle in three days. 19 Then the Spirit of the LORD came upon him mightily, and he went down to Ashkelon and killed thirty of them and took their spoil and gave the changes of clothes to those who told the riddle. And his anger burned, and he went up to his father’s house. 20 But Samson’s wife was given to his companion who had been his friend. 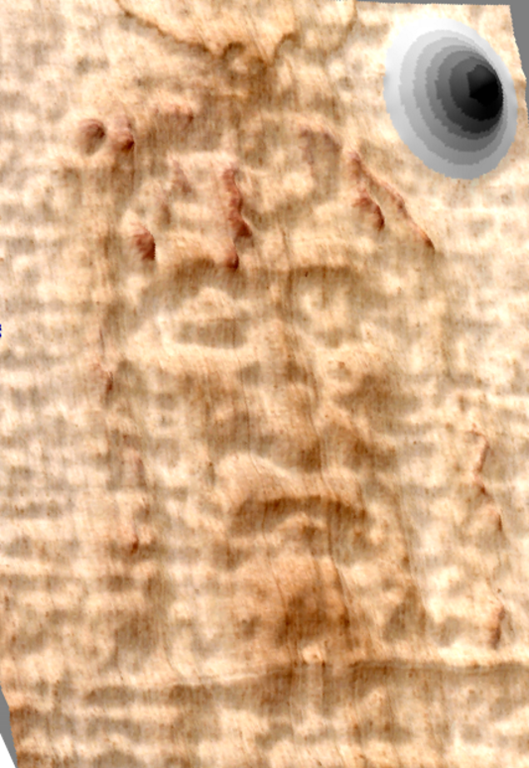 Acilius, in the Red Panther blog, wonders, Does the Shroud of Turin disprove the Gospels? 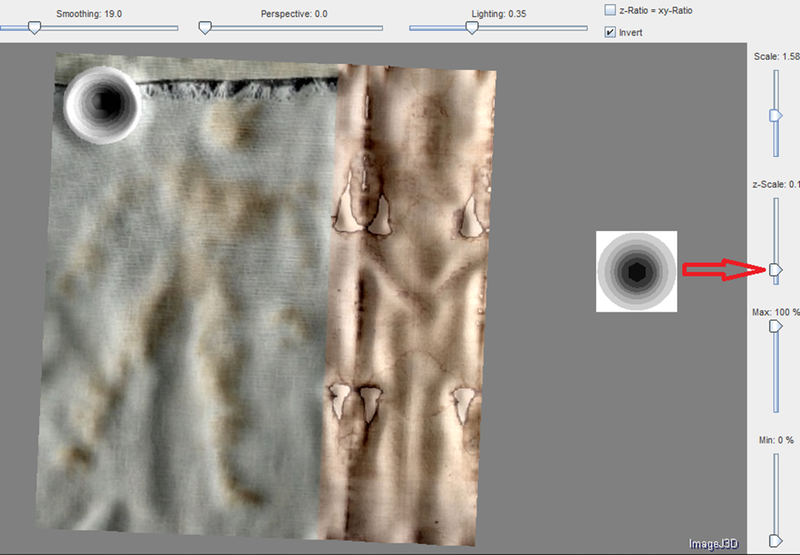 In April, I noticed a post on Rod Dreher‘s blog about the Shroud of Turin. Mr Dreher had been impressed by a book, Finding Jesus: Faith. Fact. Forgery: Six Holy Objects That Tell the Remarkable Story of the Gospels, by David Gibson and Michael McKinley, a companion volume to the CNN series of the same awkwardly punctuated name. The other day, I saw that the Reverend Mr Dwight Longenecker, a former Anglican priest turned Roman Catholic, had also posted about the shroud, quoting at length from an article at National Geographic in which the shroud’s puzzling nature is explored. The scientists shrug and say the only explanation lies beyond the realm of twenty-first century technoscience. In other words, the extraordinary burst of ultra violet light is not only beyond the ability and technology of a medieval forger. It is beyond the ability and technology of the best twenty-first century scientists. What could explain all of this? If no known technological process could have produced the image on the shroud, and the only unknown technological processes that could have produced it would be the result either of the greatest design fluke in history or of contact with visitors from outer space, perhaps we should discard the forgery hypothesis and turn next to a search for a natural process that could have produced the image. There may in fact be such a process. 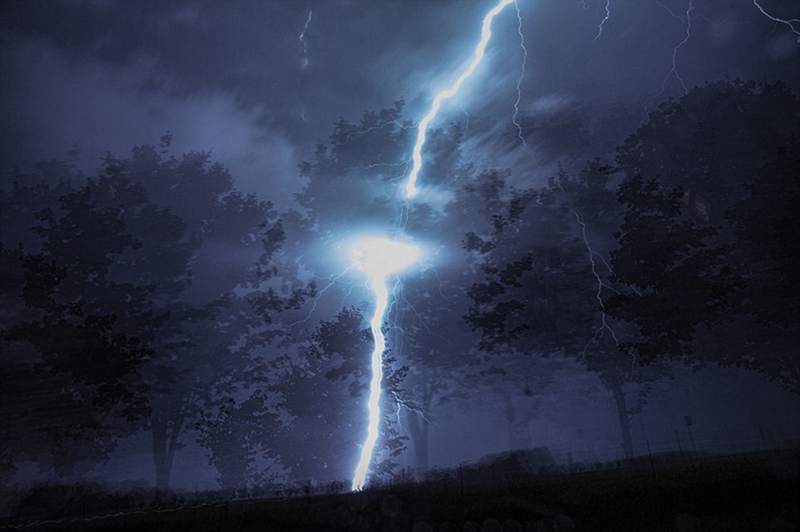 Lightning is an extremely energetic and poorly understood phenomenon; it was only in 2009 that it was discovered that lightning often produces significant amounts of antimatter in the upper atmosphere. No one had expected to find this, and no one can explain it. Bursts of ultraviolet radiation is a lot less exotic than appearances of antimatter, and so would be significantly less surprising as phenomena associated with lightning. So, perhaps at some point in the middle decades of the first century CE in or near the city of Jerusalem the body of a man who had been scourged, jabbed in the side with a spear, mounted on a cross, fastened to that cross with nails through his wrists and feet, and subjected to a group of small puncture wounds on the forehead was wrapped in the shroud that has been on display in Turin for the last several centuries. Before that man’s body was buried or entombed, it was struck by lightning, producing a burst of ultraviolet rays that created the image on the shroud. This event, occurring in an urban area and centering on the body of a man whose gruesome death a crowd would have witnessed at most a few hours before, would certainly have been very much discussed. One must suppose that people would try to find religious significance in it, and that in the course of those discussions many people would claim, whether truthfully or not, to have been associated with the man during his lifetime. Perhaps the whole story of Jesus, as it has come down to us, grew from the reactions to this event. Or perhaps the story of Jesus as we have it represents the conflation of several stories. It is difficult to imagine that the man whose image is preserved in the shroud is not the man whose crucifixion is described in the Gospels, but not so difficult to imagine that stories about another man, who was also crucified in Jerusalem around the same time and who was well-known locally before his crucifixion as the leader of a new religious movement, would be combined with the story of the man whose crucifixion was followed by the spectacular event of a lightning bolt and the transformation of his burial cloth into the object we now see in Turin. Nowhere in the New Testament does it say that Jesus’ body was struck by lightning after it was removed from the cross. If the image on the shroud turns out to have been created by lightning, the evidence connecting it with first-century Jerusalem, the fact that its appearance in first-century Jerusalem would certainly have caused great excitement there, and the similarity of the wounds the man had to the wounds the Gospels attribute to Jesus makes that silence a tremendous obstacle to accepting the historicity of the Gospels, I would say a far bigger obstacle than any of the gaps or discrepancies of detail that New Testament scholars have yet uncovered. All the other problems fade pretty quickly once you start thinking of the Gospels as what they originally were, a collection of liturgical resources more akin to a hymnal than to a biographical study. The Gospels are series of pericopes, distinct passages designed to be read aloud or recited at particular moments in worship services. 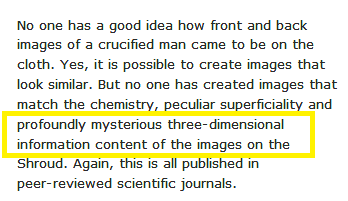 So, for Christians, there seems to be a great deal at stake in the question of what precisely the Shroud of Turin is. If the recent studies of it are all wrong, if the researchers have been led astray by their religious biases and it is after all a forgery from the Middle Ages, then the crisis is averted. If the studies hold up, and if the image does prove to be the result of a lightning strike, do Christians have a way out? A bit of speculation too far, I think. But it is thinking, and thinking is a good thing.